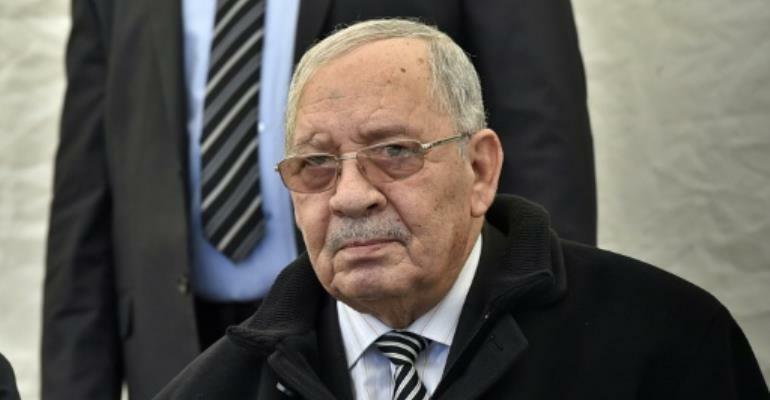 Army chief Ahmed Gaid Salah, who has called for President Abdelaziz Bouteflika's departure, has until now been a faithful supporter of the leader who made him one of Algeria's most powerful men. Born in 1940 in the Batna region, 300 kilometres (186 miles) southeast of Algiers, he was 17 when he joined the National Liberation Army which for three years battled French colonial rule. With Algeria's independence in 1962, he entered the ranks of the army before attending a Soviet military academy and scaling the ladder. Gaid Salah successively commanded several military regions, before being appointed chief of staff of land forces in 1994, two years into the decade-long civil war between the Algerian army and armed Islamists. In 2004, when he was about to be sent into retirement, Salah was tapped by Bouteflika to replace chief of staff Mohamed Lamari, who was from a faction that opposed to a second term for the president. Now indebted to the president, General Gaid Salah became a loyal supporter of Bouteflika who in turn gave him the means to modernise the armed forces. After returning from Paris in July 2013, where he spend 80 days in hospital following a stroke, Bouteflika gave him the added responsibility of deputy defence minister. It was seen at the time as a title handed to the general in exchange for his support of Bouteflika for a fourth presidential term in 2014, in spite of his poor health. General Gaid Salah also backed Bouteflika when he came under attack from the powerful DRS intelligence agency and its chief, General Mohamed Mediene, who was finally retired in 2015. In recent months, he had publicly supported Bouteflika's bid for a fifth term, until his proposal to end the crisis triggered by the unprecedented opposition that his candidacy raised. On Tuesday, he invoke Article 102 of the constitution under which a president can be removed if found unfit to govern as a way out of the crisis. "It is necessary, even imperative, to adopt a solution to get out of the crisis which responds to the legitimate demands of the Algerian people, and which guarantees the respect of the provisions of the constitution and safeguards the sovereignty of the state," the general said in a televised speech. Article 102 puts the onus on the president either to resign or be declared unfit to govern by a vote of parliament due to a "serious and durable illness".